This rather great card has surprisingly not been reprinted in anything – not a Duel Deck, Starter deck or event deck. It basically cause its value to skyrocket to above 5$, which is rather surprising for a Standard format uncommon (even more a red one). Now you too can be stoked about this awesome reprint ! Go for and win them at your local FNM event. While February’s FNM promo is not really played in Standard, it’s bound to make a few Magic: the Gathering players happy. After being reprinted in M13, Reliquary Tower shows up again with new artwork. I really dig the new version and the quote is cool as well. 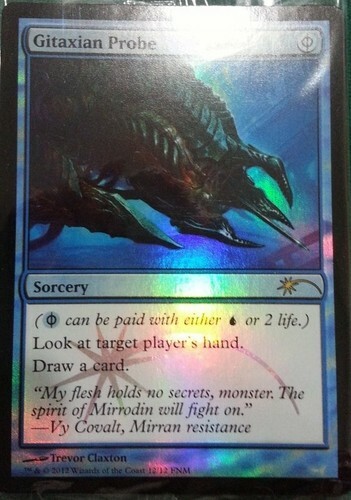 Go to your local Magic: the Gathering store and participate in an FNM for your chance to get one. Click the FNM logo above to find an Friday Night Magic Event near you! 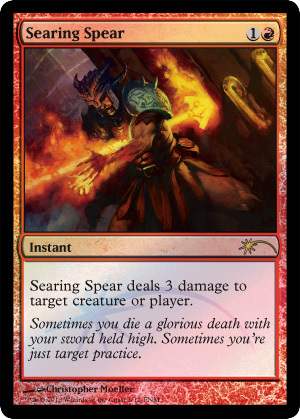 Searing Spear is seeing quite a bit of play in the current Standard format and it was nice of Wizards to make it January’s FNM promo. be sure to play in your local gaming store’s FNM for a chance to win one. We all love the quote and it is quite versatile as well. 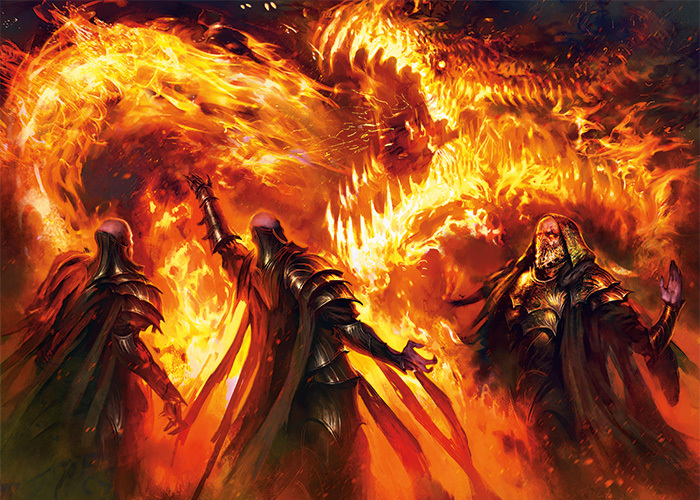 The new FNM Promo for the Month of December has been revealed and Storm deck players everywhere can now rejoice! 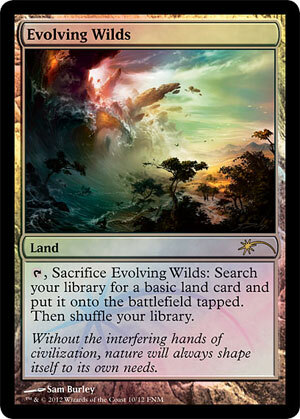 So don’t delay… Go Play at a local FNM Event near your and support your local brick and mortar store! Go play at an FNM in your local store and grab yours in October!